OmegaOne is your source for exotic special fittings. We offer the fastest deliveries in the industry. 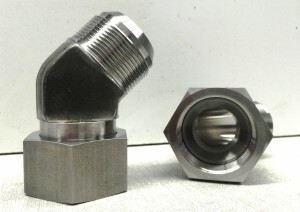 OmegaOne produced a series of special Monel fittings for a customer. 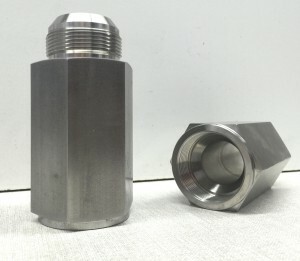 Two fitting were manufactured to hold 5,000 PSI at a 4:1 safety factor, a 1 1/2″ JIC Flare Fitting 45 degree Swivel Elbow and a 1 1/2″ swivel straight thread connector Thread End Reducer (TER). 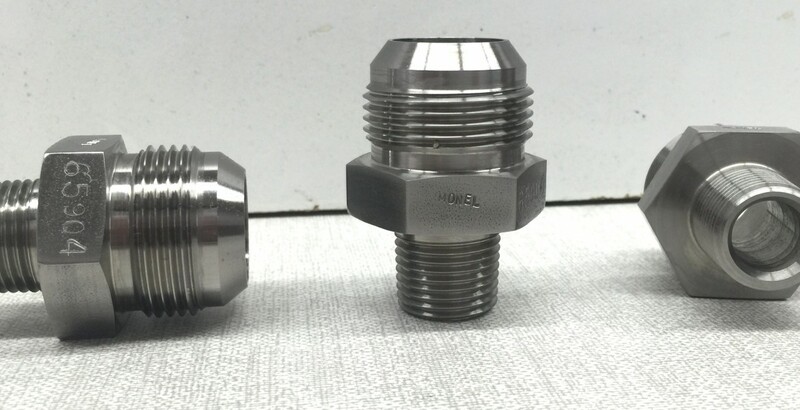 Contact our sales team to assist with you special high pressure or exotic metal fitting requirements.